Annapurna Sanctuary Heli Trek takes us through the different villages towards the southern face of Annapurna base camp. Trekking along the Modi Khola gorge leads you to the panorama of vast mountains. The diverse culture in this region makes this 12 days trek all the more interesting as you pass by the gorgeous Himalayas including Annapurna 1, Gangapurna and Fishtail looking straight at you as you head towards the highest altitude at the Annapurna Base Camp at 4179m. The flight from Kathmandu to Pokhara takes 20 minutes through the scenic views of the Himalayas so we would suggest picking the seats on the right side for the better views of the Himalayas. 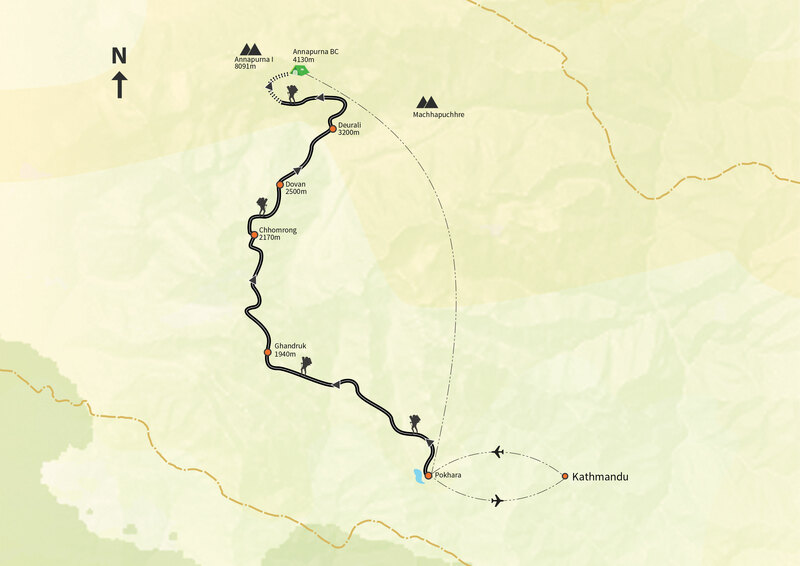 The trek follows the traditional route from Birenthati to where you will drive after arriving at the Pokhara airport. 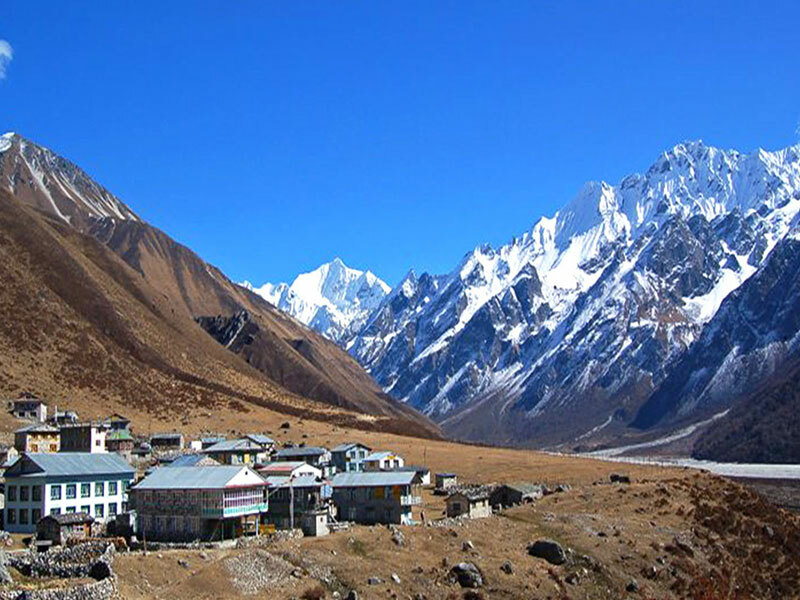 10 days trek that approaches the high Himalayan peaks. The spectacular atmosphere of the glacial circus of the Annapurnas sanctuary. Exciting 20 minutes Heli flight back to Pokhara. 5 nights Normal Local Lodge on FB Twin Room. Flight: KTM-Pokhara-KTM with Airport Tax . Heli Flight : Annapurna Base Camp-Pokhara. After breakfast and depending on your booked flight timing, you will be transferred to the domestic terminal for the scenic flight to Pokhara. The flight takes about 20 minutes providing spectacular views of Langtang, Manasalu and Annapurna ranges. Once in Pokhara, our crew along with private vehicle will meet you at the airport. From here you will drive to Birenthati which is about 2-hour drive where we spend overnight in the comfortable Ker and Downey Lodge. (1025m). Breakfast will be ready at the dining room. 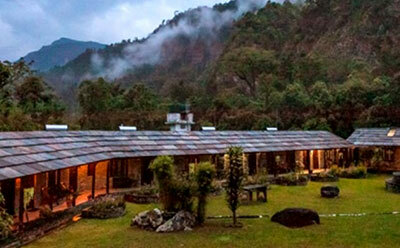 After breakfast, you will leave the lodge to start the trek through the scattered small farms. Following the Modi Khola and with constant view of Mt. Machhapuchhre ahead, you will soon climb the valley towards the mountains. 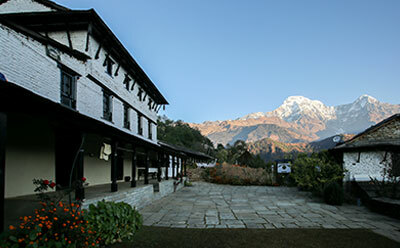 Passing through the rice fields and forest, you will arrive at the Himalaya Lodge in Ghandruk early afternoon to a hot lunch that is served on arrival as you enjoy the spectacular views of Annapurna Massif. The trail climbs through a forest up to a clearing on top of a hill. Then it makes a steep descent through forests into a huge canyon before climbing again through forests with nice terraced fields. Then it switchbacks before climbing uphill till Taglung (2000m). The trail becomes wider from here before finally dropping down to Chomrong. After breakfast the trek starts with the trail descending on a stone staircase and crossing the Chomrong Khola then climbs through deep rhododendron and bamboo forests reaching Dovan, a small village with scattered lodges. The muddy trail goes up along the Modi Khola then on a rocky trail through forests to reach a cave at Hinku. A steep climb up through the forest brings us to Hinku Cave from where the trails goes down towards the river and finally brining us back to Deurali. Take a moment to enjoy the magical views of the valley along the sparse vegetation along with the majestic waterfalls dropping off the rock-face cliff. The route climbs alongside a moraine up to a knoll over the mountain side. 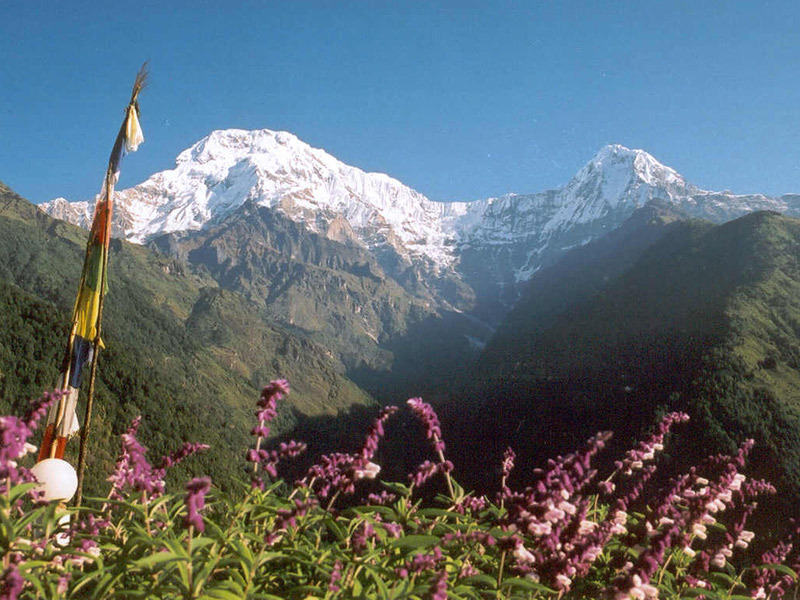 There are tremendous views of the near-vertical south face of Annapurna I that towers above the sanctuary. As we head further towards the Annapurna Base Camp via Machhapuchhre Base camp, the vegetation gets lesser and the mountains get closer. 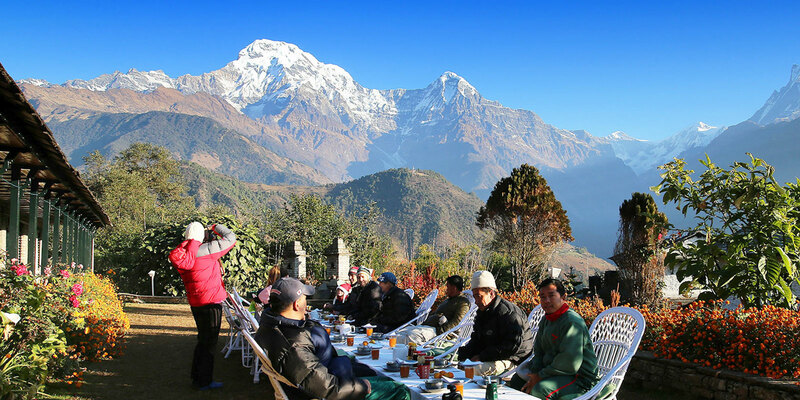 We spend one more day in Annapurna Base Camp to enjoy the views of the mountains and make and excursion to the nearby glaciers and return to our lodge for overnight. We take an early morning spectacular Heli flight to Pokhara and catch a connecting flight back to Kathmandu. 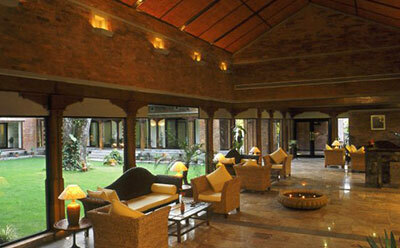 This tour spends three nights in a hotel in Kathmandu and six nights on the trek in lodges (tea houses). 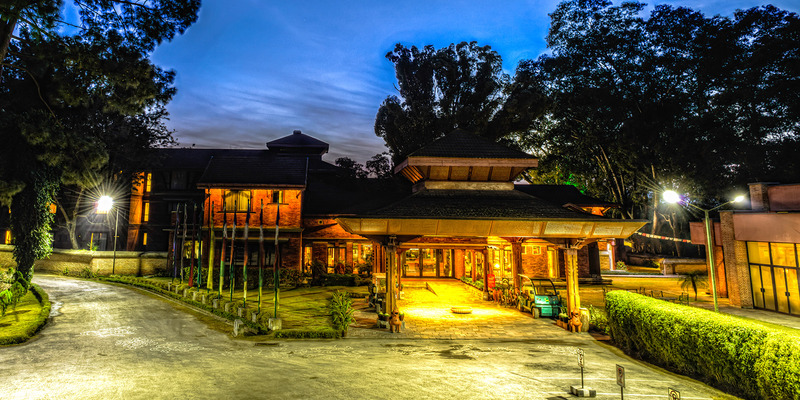 In Kathmandu, we normally use a 3-star hotel located within walking distance of the Thamel. On the trek, we will stay in tea houses for the most part. 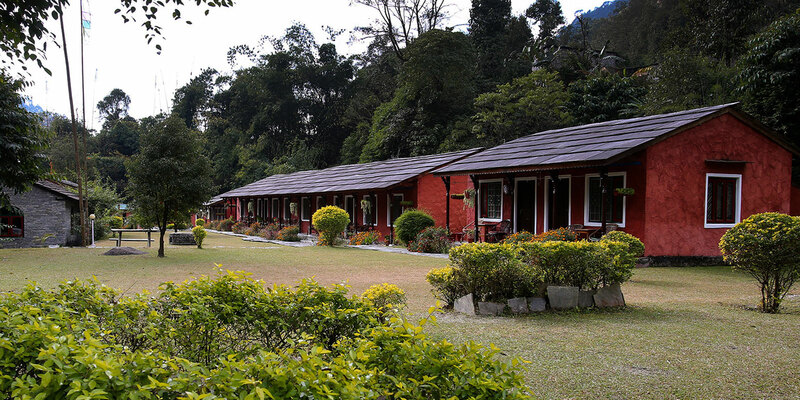 The tea houses are basic but adequate; please be realistic about what to expect in the mountains.